Can’t seem to control the flea population in your home? These blood-sucking parasites are more than just a nuisance; they pose a real threat to you and your family. Allowing them to grow and reproduce in your home can send their numbers spiraling out of control. You may only see a couple fleas per week, but this can turn into dozens a day if you aren’t careful. 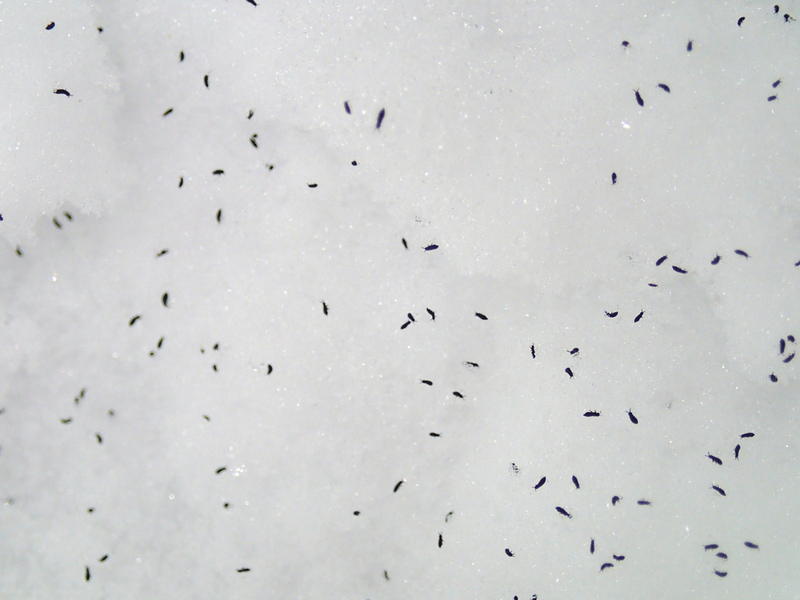 Snow fleas: photo by Robbie1. You can’t expect to treat a flea infestation in your home unless you remove them from your yard. Even if you kill every last flea lingering inside your home, new ones may still make their way inside. There are several different techniques for treating a yard for fleas, which we discuss here, but the key thing to remember is that you want to remove sources of free-standing water and piles of organic debris. Wouldn’t it be nice if you could treat a severe flea infestation by placing a flea collar on your dog or cat? Unfortunately, flea collars have little-to-no effect on the flea population. They may discourage some fleas from biting your pet’s neck and face, but other than that they are pretty much useless. The bottom line is that you should avoid flea collars and stick with a more effective form of treatment . A third mistake — and one that most owners are guilty of — is not washing their pet’s bedding. Fleas love to burrow inside a comfy dog bed where they’re hidden and protected against predators. And when your dog goes to lay down at night, they have a convenient source of blood available. If fleas are a problem inside your home, try to get into the habit of washing your pet’s bedding at least once every couple of days. Doing so prevent fleas from taking refuge while offering a safe and clean area for your pet to sleep at night. A fourth mistake that you’ll want to avoid when treating a flea infestation is trying to squish the little blood-suckers between your fingers. You can press down with all your might, but chances are they will pop back up and jump away. Fleas have an exceptionally strong chitin shell that’s capable of absorbing large amounts of pressure, so squishing them doesn’t work. Instead, you should either press down with the edge of your fingernail or place them inside a bowl of soapy water.